Born in Lima, Peru. Lives and works in Santiago, Chile (since 2000). 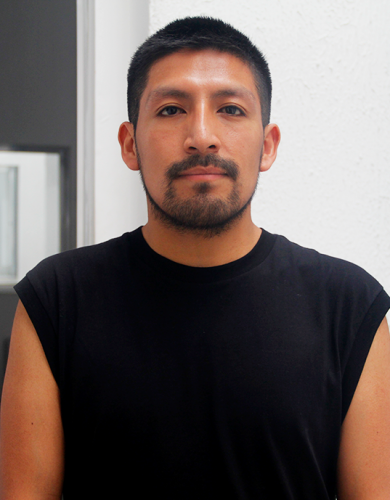 A visual artist and a photographer graduated from the University of Chile, La Rosa has participated in several collective and individual exhibitions in institutions such as the Museu de Arte Contemporanea and Museu Nacional de Belas Artes, both in Chile. He is an assistant professor of the photographic department at Faculty of Arts of the University of Chile. His work seeks to understand human processes and behaviors evoked through organic and inorganic elements, as well as philosophical conceptions of experimental or scientific work who are present in artistic practices in general. 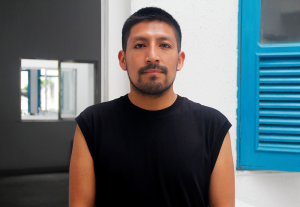 Recently, his interests are focused on his migration experience in Chile and its connection with his country of origin. 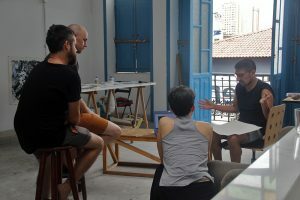 As an artist in residence at Depina, La Rosa intends to connect the different imaginaries that surround his current artistic research, either through the incidence of racial and socio-cultural miscegenation in Brazil, or by the allusion to his Peruvian origin and to his migratory and identity experience in Chile. Furthermore, he wants to approach the social reconfiguration that is currently taking place in Chile, based on what Brazil has lived in colonial times, linking a tripartite and timeless vision on the distinctions of what we conceive as “Latin American societies”, which are related through the same historical fate. 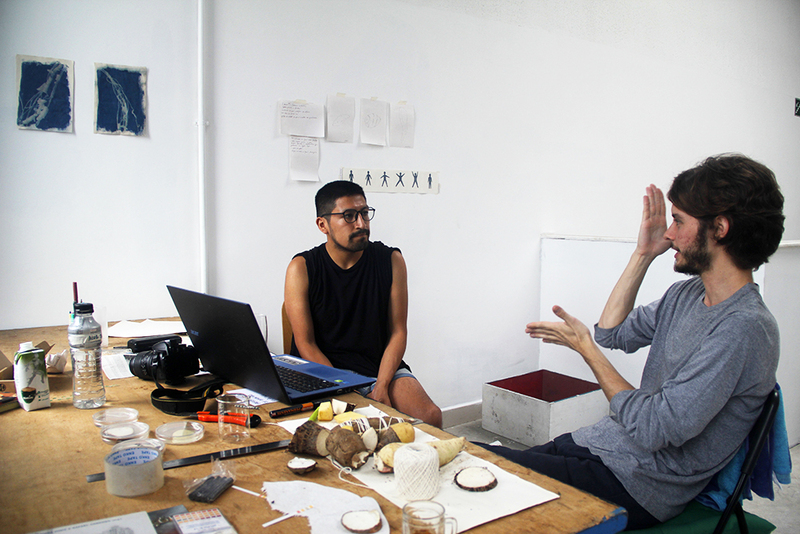 The idea is to transfer these problematizations to experimental processes, in which the artist intends to use vernacular elements (organic and inorganic) and to somehow poeticize conceptions of origin, reformulation and constant transformation.